Thomson Airways: British plane narrowly dodged missile in Egypt. A Thomson Airways aircraft sits on the tarmac after making an emergency landing at Athens international airport April 4, 2011 in Athens, Greece. A plane flying from London to Sharm el-Sheikh, Egypt, came within 1,000 feet of being hit by a missile as it neared the airport on Aug. 23. 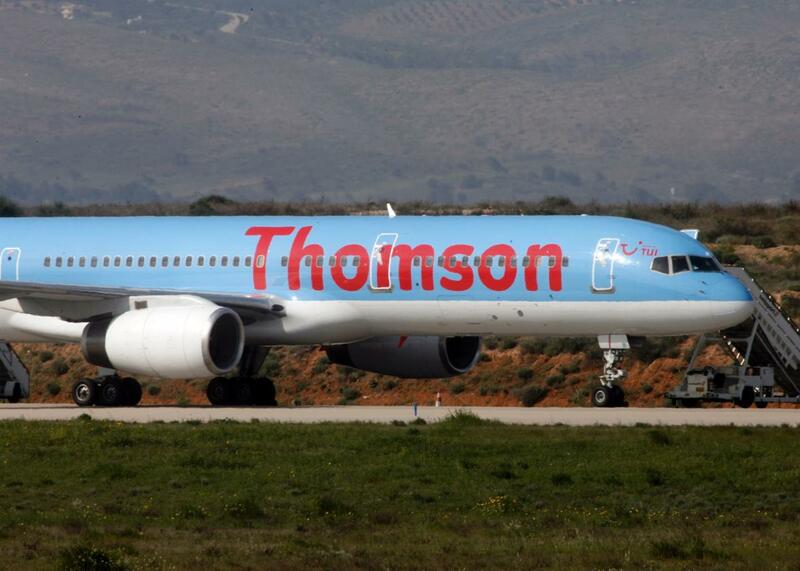 The Thomson Airways flight that was carrying 189 passengers went on to land safely. No passengers were told about the incident after landing. The UK government confirmed the news that was first published in the Daily Mail but insisted that the investigation into the incident had shown the plane was not targeted. “We investigated the reported incident at the time and concluded that it was not a targeted attack and was likely to be connected to routine exercises being conducted by the Egyptian military in the area at the time,” a government spokesperson tells the Guardian. Despite coming mere seconds from disaster, the UK government apparently concluded that there was no cause for alarm and that flights should continue normally.